Motorhead frontman Lemmy Kilmister died Monday at his Los Angeles home at the age of 70. “There is no easy way to say this,” said the band vis Facebook. “Our mighty, noble friend Lemmy passed away today after a short battle with an extremely aggressive cancer. He had learnt of the disease on December 26th, and was at home, sitting in front of his favorite video game from The Rainbow which had recently made it’s way down the street, with his family. “We will say more in the coming days, but for now, please…play Motörhead loud, play Hawkwind loud, play Lemmy’s music LOUD. Have a drink or few. Share stories. Celebrate the LIFE this lovely, wonderful man celebrated so vibrantly himself. HE WOULD WANT EXACTLY THAT. 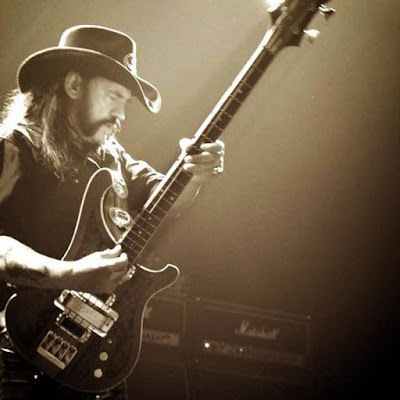 The bassist had dealt with health issues in the recent years: the band cancelled and shortened concerts on their North American summer run after Lemmy battled a lung infection brought on by playing at high altitudes. In 2013, the rock suffered a hematoma and had been fitted with a defibrilator to correct heart problems. Lemmy began playing guitar in bands at the age of 15. By 20, he was in The Rockin’ Vickers, who had a three single deal with CBS and toured Europe. Lemmy joined space rockers Hawkwind in 1972, switching to bass and handling vocals as well. Four albums later, he was fired from the group in 1975 after being busted for drug possession in Canada while on tour. The rocker formed Bastards which, after several lineup changes, adopted the name Motorhead – the title of the last song he had written for Hawkwind. Motorhead recorded their first album, “On Parole”, in 1976 but the record label failed to see any commercial potential in the project held it back until the group was mor established in 1979. Instead, Motorhead moved forward and issued their self-titled debut release in 1977. The band hit their commercial peak in 1980 with “Ace Of Spades”, toured the world endlessly and released their 22nd album, “Bad Magic”, in 2015. Lemmy marked his 70th birthday on Christmas Eve.